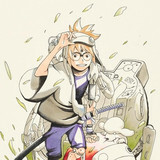 Crunchyroll - Don't Sleep on Fall's Late Arrival, the Gorgeous Anime Tsurune! 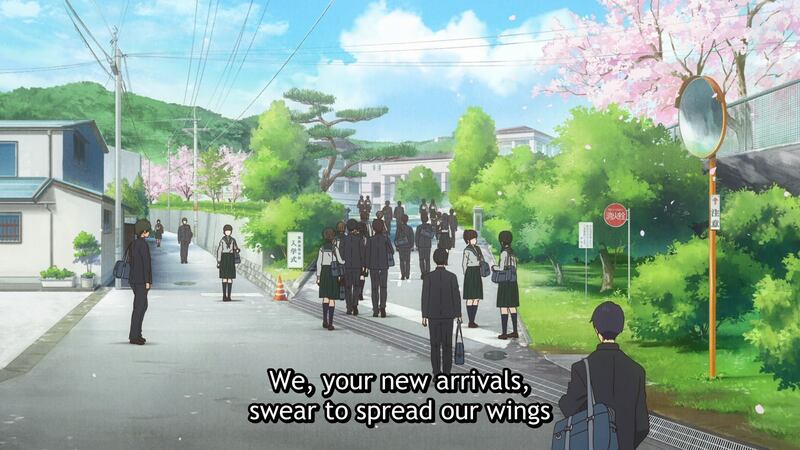 Don't Sleep on Fall's Late Arrival, the Gorgeous Anime Tsurune! 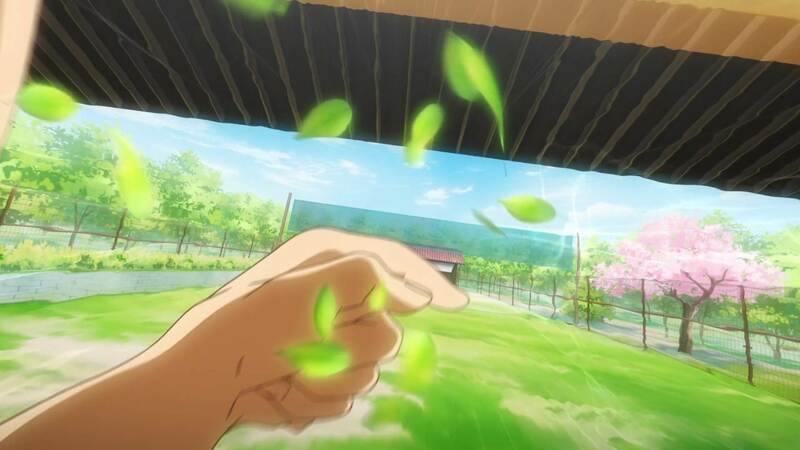 Today let's explore the power of Tsurune, this season's late-arriving stunner! I won’t lie to you: this is obviously a stacked season. From its action shows to its character dramas to its comedies and everything in between, the fall of 2018 is looking to be one of the strongest seasons this year, and I’m already having trouble keeping my schedule under control. But as we were beset with great premiere after great premiere, I was personally holding fast for the season’s long-awaited straggler, an unassuming sports drama about boys who play competitive archery. 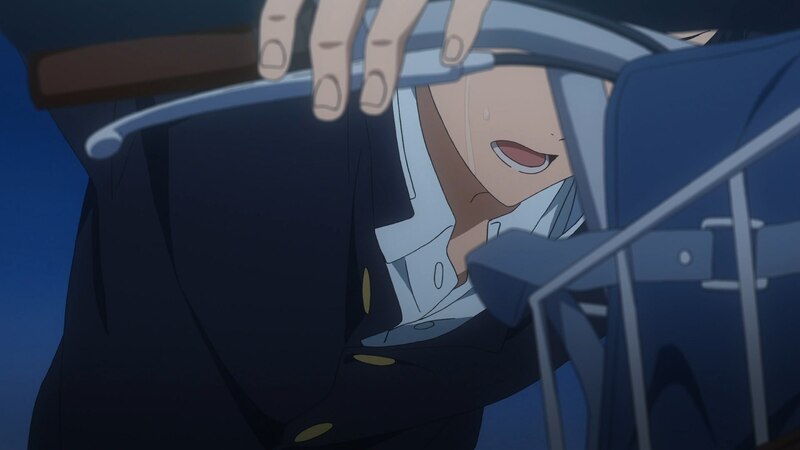 I knew Kyoto Animation’s Tsurune would be special, and as an unabashed fanboy of the formidable studio, I was absolutely going to wait for it. 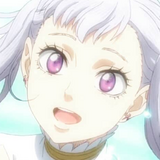 Having finally watched the show's first several episodes, I'm happy to say the wait was worth it, and that my schedule is just going to have to find room one more anime addition. 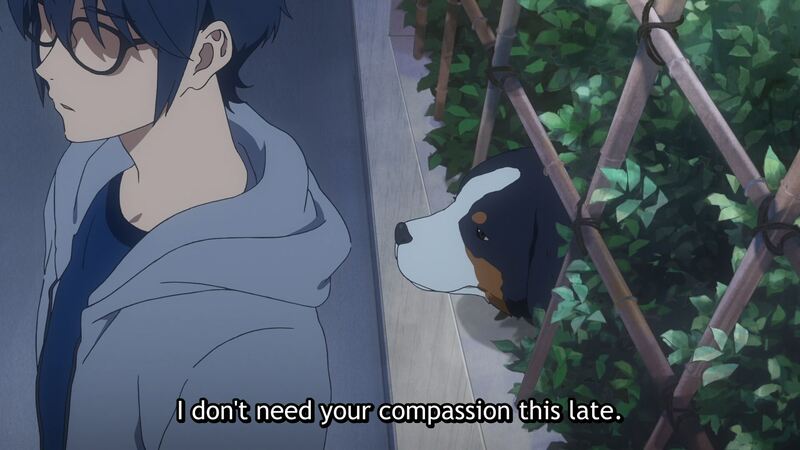 Today on Why It Works, I’m making the case for why you should pick up just one more show this season, and give the gorgeous Tsurune a try. 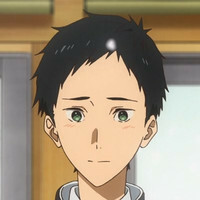 Speaking of gorgeous, yes, Tsurune is a visual marvel. 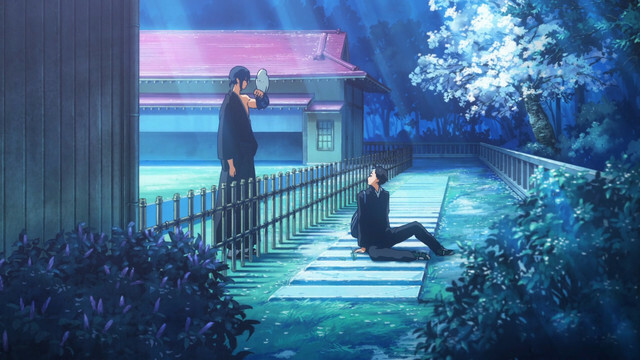 Basically all of Kyoto Animation’s productions are awash in rich backgrounds and elevated through fluid, graceful animation, and director Takuya Yamamura’s Tsurune is no exception. 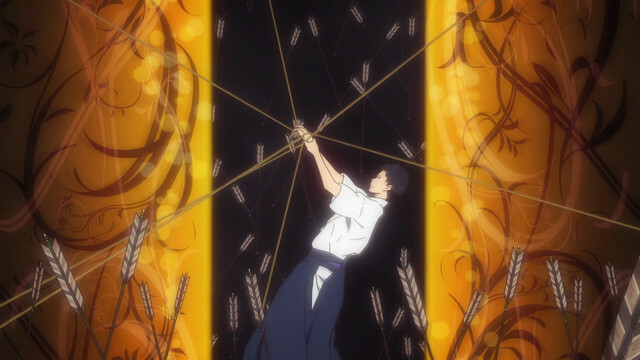 Though this is Yamamura’s first full series, Tsurune’s striking layouts and beautiful colors have already made a strong impression, creating a world where the majesty and ethereal nature of archery feels embedded into the very landscape. 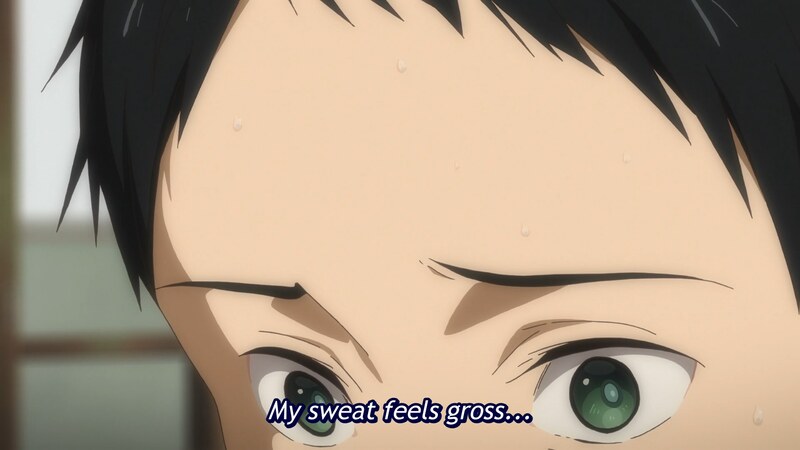 You can truly sink into Tsurune’s world, feel the crispness of its mornings, the panic of its competitions, the somber glory of its fading afternoons. 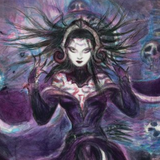 All that beauty isn’t just its own visual reward, though. 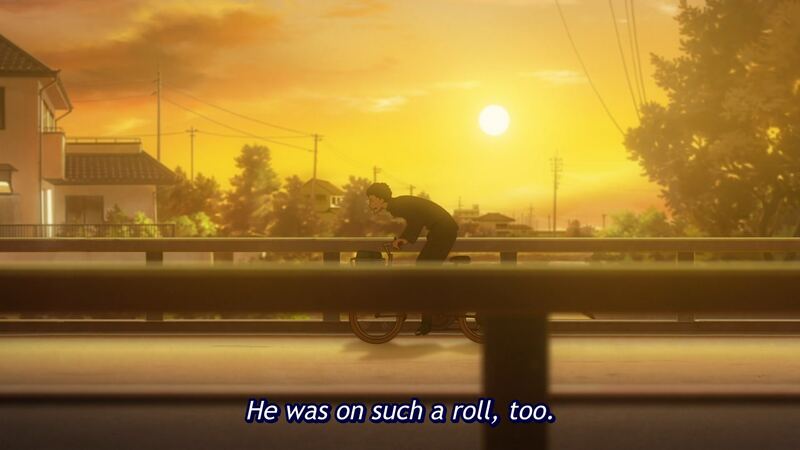 Tsurune isn’t just “beautiful”; it carefully employs its compositions and colors to promote resonant emotional effects, something conveyed most clearly in the progression of its first episode. 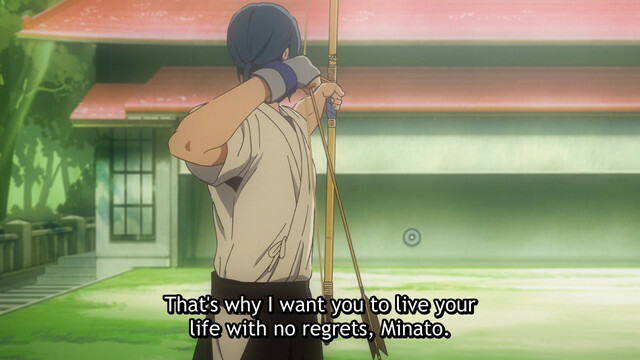 The story is centered on a boy named Minato, who gave up archery compositions after he developed target panic and choked at a major competition. Following Minato’s journey through the first day at his new high school, this first episode echoes the emotional tenor of his every move through the visual landscape he inhabits. From the cool light of an early spring morning, we shift to the welcoming pinks and greens of a fresh school life. Then, after Minato is asked to demonstrate archery and fails, his feelings of anger and shame paint the sky yellow, burning with the fading sun until his anger cools at the roadside. Beautiful visual storytelling isn’t just pretty; smart visual choices can echo, counterpoint, and generally elevate a show’s overall storytelling, offering a nuance of emotional delivery impossible with words alone. Tsurune’s smart visual storytelling also means its apparent narrative can pass by at a very rapid pace. 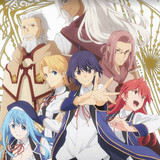 Within the show’s first episode, we are swiftly introduced to Minato’s current life, past trauma, and where he has to go, while the actual emotional experience of Minato’s life is conveyed largely through color work and character acting. Minato's relationship with his childhood friend Seiya is relayed almost entirely through body language; there are volumes of baggage and resentment there, but they're all contained in their posture, idle hands, and expressions (or even the camera's choice to conceal these things). 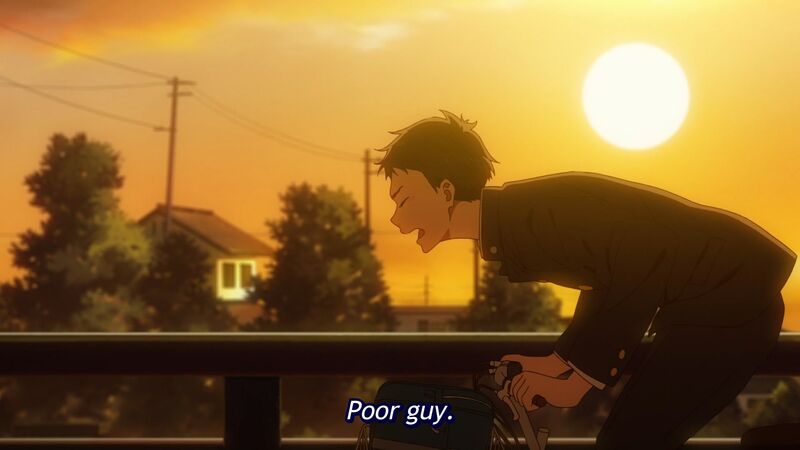 By relying so heavily on visual storytelling to convey the emotional substance of Minato’s life, Tsurune is essentially able to dramatically multitask, conveying a concise story through its spoken narrative beats and a more emotional and personal one through its visual storytelling. 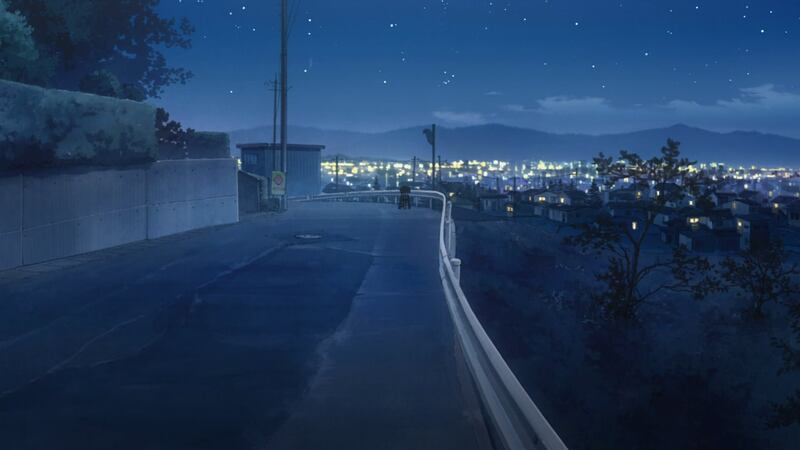 In the show’s second episode, that breakneck pacing subsides, letting one of Kyoto Animation’s other signature strengths shine: their singular ability to bring quiet personal moments to life. From Sound! Euphonium to Hyoukaand even farcical dramas like Love, Chunibyo & Other Delusions, many of the best Kyoto Animation productions are elevated through precisely chosen and carefully observed moments that naturally illustrate our most intimate and deeply held feelings. 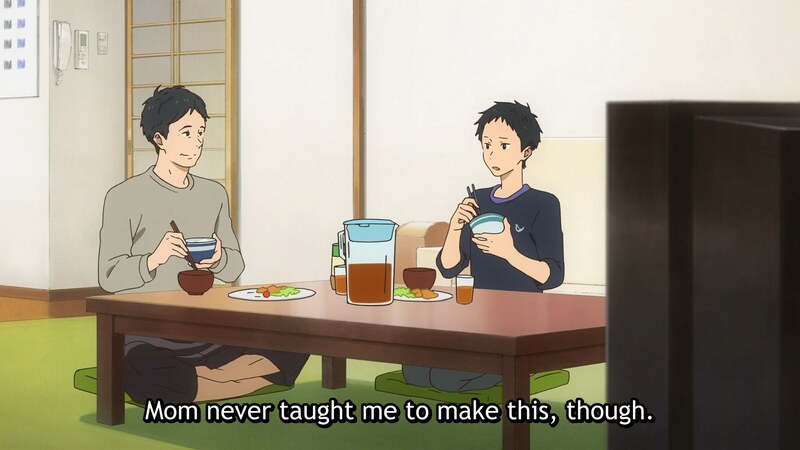 A few minutes spent with Mikado and his father tell volumes about their close and grief-colored personal life, while the quiet menace of Mikado’s neighbor Seiya only comes out in the briefest of asides. 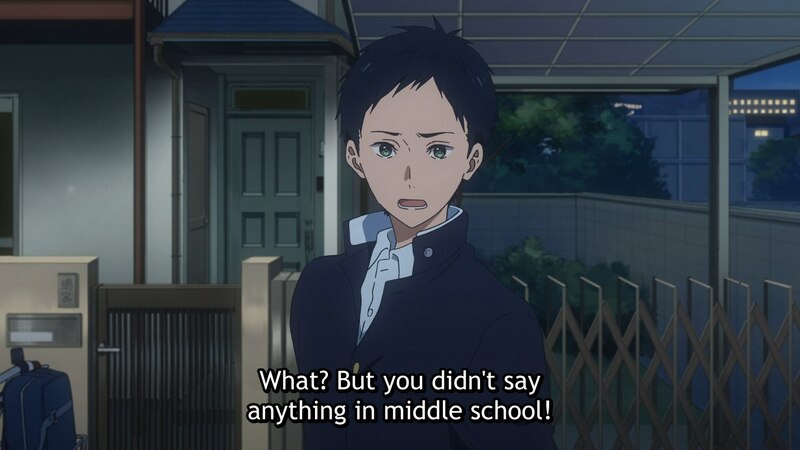 Downplaying overt narrative beats in favor of well-observed single moments and consistently evocative visual storytelling ultimately elevates the emotional strength of Tsurune as a whole, making Minato’s life experience clear not just as a bullet point biography, but a series of bitterly clenched fists, refreshing mornings, and desperate longing to return to his passion. 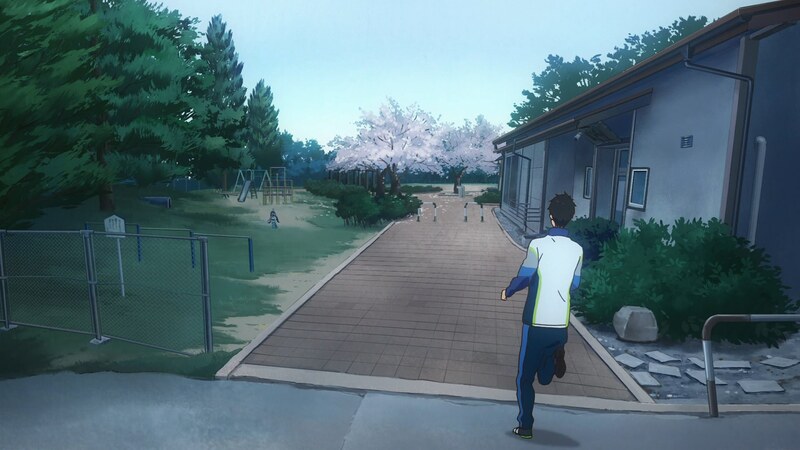 All of that together makes Tsurune a sports drama like few others, full of moving tiny moments and rich with evocative beauty. 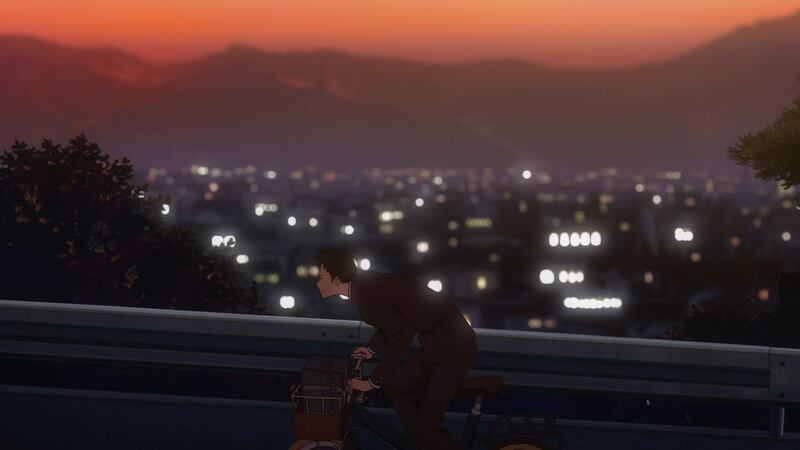 Foregoing comedy or tactical action for a close personal focus, Tsurune's exploration of Minato's life is thoughtful and gorgeous, offering a tangible sense of melancholy that makes his small victories shine all the brighter. 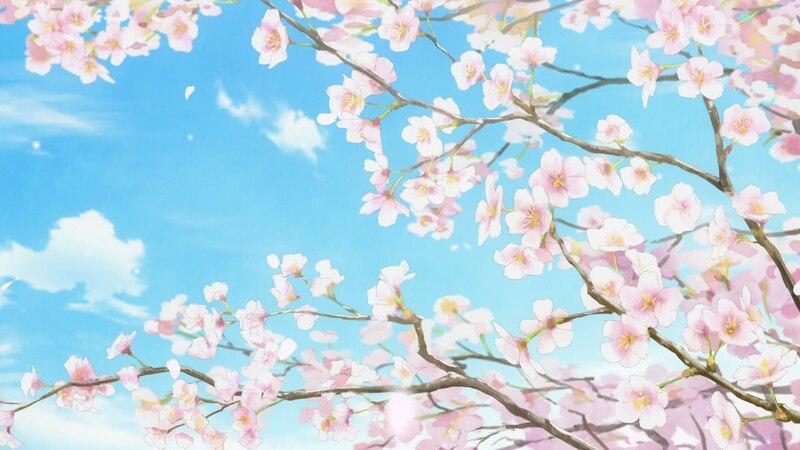 Though this season is certainly strong, Tsurune offers a gripping and gorgeous tale like nothing else airing. I hope you give it a shot! Your Anime News Brief - Attack on Titan, KONOSUBA, Mob Psycho Edition!